As every coin has two different faces similarly, the advancement of technology also has pros and cons. Although we enjoy the positive fruit of technology, we can also be a victim of it. Recently a German security expert named karasten nohl stated that any phone can be hacked only with a phone number of the mobile. It’s quite shocking & unbelievable, to make people believe the researcher himself demonstrated the same by hacking the mobile of US congress men Ted Lieu after taking his consent. He was given a brand new mobile and allowed to use it for his daily routine. Using the phone number as an identifier, the team of hackers got into his phone and received all the information regarding the phone calls, text information, and location of the user. They also listened to the conversations of Mr.Ted Lieu with his staff. After the astonishing process nohl explained how the digital pickpockets can exploit the mobile devices using a small loop hole in its networking architecture. They also demonstrated how they had, hacked the congress men’s mobile. The hacking process is done by accessing the network of the user. 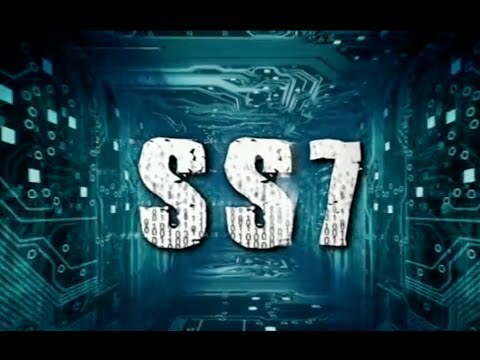 The hack uses signalling system seven also known as SS7, regarded as C7 in UK & CCSS7 in US, which is a network interchanging service. It acts as a mediator between the mobile networks. When any calls or messages are done between two networks, the SS7 will gain access to the info such as SMS transfer, billing information and other activities that can be done between the two networks. By having access to SS7, the hacker can get all the information of the user without being known to the user. All the hack process is being performed by nohl and his team at CBS show. Discussing the vulnerability of security of mobile phones, the hacker doesn’t need any information regarding the mobile user but only the phone number. Since the hacker is targeting the mobile network which is independent of the chip inside the device. As a result user can’t have any control on the mobile. Despite of setting any pass code, pattern or any app installed for security, still the hacker can get in through the vital information. It’s no exception for any mobile. In the dark web, this kind of information of politicians and business men would earn more money to the hackers. The solution to the problem is the mobile networks need to take necessary precautions to protect their user’s valuable and personal information from the hackers eyes and enable users that they are protected. Global policing of SS7 should also be arranged for preventing the digital pick pockets gaining control over the networks. These are horrifying and worrying facts which can generate insecure feeling among the mobile users. According to research done by Javelin Strategy & Research organization in 2014 over $16 billion of information has been stolen from 1.2 million of users in the US describes how the cyber-crimes are increasing. Previous articleIs Apple Going To Reunite With Old Friend Samsung?